Health & Wellness will inspire you to get motivated to hit the gym, to take care of your body and even to drink more water. Its not about perfect bodies or strict regimens, but feeling healthy and happy! The soothing color palette of grey, white and lavender instills a sense of calm and stillness akin to a mindful meditation. 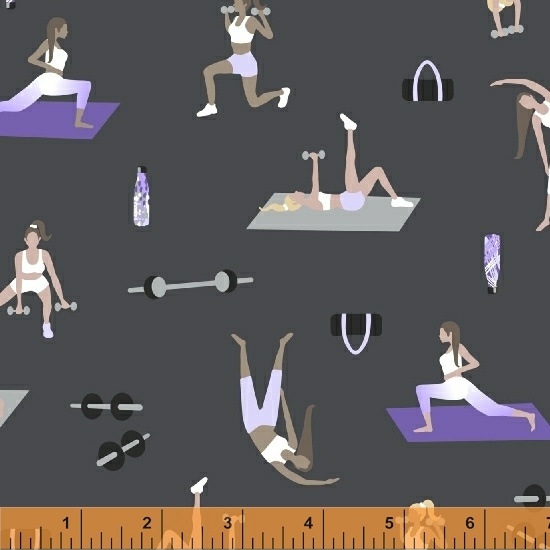 Make a gym bag, a yoga mat or a wall hanging project with this serene collection. On Sale: January 2019. Ships: June 2019. 10 skus.